So here we go, into the last three ‘flyaway’ races with the championship battle nicely poised. The result of the Belgian Grand Prix has shrunk the points differential between the three main contenders – namely Lewis Hamilton, Fernando Alonso and Kimi Raikkonen – setting up a tense contest to come. Raikkonen, having taken his third consecutive win at this drivers’ circuit of drivers’ circuits, can surely sense the mounting pressure he’s exerting upon the McLaren duo, and he goes into the Japanese race with his confidence at a high. Spa, majestic Spa. Being in the Ardennes for the Belgian GP evokes very contrasting emotions for a large number of people in the F1 fraternity. The wonderful ambience of the circuit, bathed (as it was last weekend, at least) in glorious sunshine, is a delight to behold, and must surely be a joy to drive at speed. This pleasure, however, is tempered by the gratuitously aggressive security personnel, who more often than not are accompanied by ferocious attack dogs. Quite why these animals – and their slavering canines – are tolerated in a live F1 pit lane is beyond me. 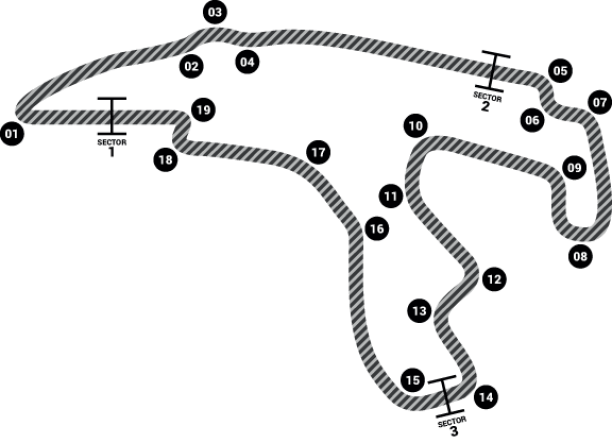 The Belgians are lucky indeed to have such a stunning track, because without it I bet we’d go nowhere near this minor transit country. As you can imagine, talk at Spa focused on the now frankly tedious ‘Stepney-gate’ affair and the ruling delivered in Paris on September 13. Whatever your opinion about this business, or indeed McLaren’s punishment, let’s hope that events on-track eclipse all the shenanigans off it in the month or so ahead. I fear not, though, because the paddock was buzzing with talk that Renault were conducting their own investigation into an employee who is alleged to have brought with him sensitive data from his previous employers, namely McLaren. One interesting consequence of McLaren losing their 2007 constructors’ championship points is a logistical quandary concerning Ron Dennis’s pride and joy, the Vodafone McLaren Mercedes ‘Brand Centre’ (motorhome to you and me). Since the paddock order is determined by the finishing positions in the previous year’s championship, every team takes pride both in the positioning of their motorhome and its grandeur relative to the one next door. Now that McLaren will, in effect, be coming last, they have a problem. You see, the top four finishers get three berths (that is, the ‘footprint’ the motorhome is permitted to occupy), Ferrari get four no matter where they finish, and the also-rans have to make do with two. Therein lies McLaren’s problem, because Ron’s glittering ziggurat has a three-berth footprint. You can imagine the schadenfreude his enemies are enjoying as they contemplate the pain he’ll endure in negotiating a suitable pitch – especially at Monaco. Surprising, isn’t it, the playground behaviour that occurs within what is arguably the richest sport in the world? Please take a few minutes to enjoy my pictures from Spa by going to the Formula One link at the top of this page.